Victoria Vieira-Potter, assistant professor of nutrition and exercise physiology, suggests the activation of brain receptors may serve as a future treatment to improve motivation for physical activity in postmenopausal women. Possible treatments could improve motivation for physical activity. COLUMBIA, Mo. – As women enter menopause, their levels of physical activity decrease; for years scientists were unable to determine why. Now, researchers from the University of Missouri have found a connection between lack of ovarian hormones and changes in the brain’s pleasure center, a hotspot in the brain that processes and reinforces messages related to reward, pleasure, activity and motivation for physical exercise. Findings suggest that activation of brain receptors in that part of the brain may serve as a future treatment to improve motivation for physical activity in postmenopausal women. “Effects of Intrinsic Aerobic Capacity and Ovariectomy on Voluntary Wheel Running and Nucleus Accumbens Dopamine Receptor Gene Expression,” recently was published in the Physiology and Behavior. 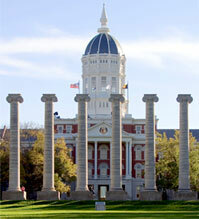 The research was supported by a MU Research Council Grant. Jaume Padilla, assistant professor; and Jill Kanaley, professor and associate chair; in the department of nutrition and exercise physiology co-authored the study. Other contributors from MU were Young-Min Park, a former graduate student; Terese Zidon, graduate student; Rebecca Welly, lab manager in the department of nutrition and exercise physiology; Matthew Will, associate professor of psychological sciences in the College of Arts and Science and research investigator in the Bond Life Sciences Center; and Frank Booth, professor of biomedical sciences. Researchers from the University of Michigan medical school and the University of Kansas medical center also contributed to the study.